An extended essay, abbreviated as EE in IB circles is a mandatory piece of academic work that must be taken by all diploma students who are enrolled for the International Baccalaureate (IB) program. Together with the Theory of Knowledge (ToK) and CAS, the extended essay forms the core of the IB Hexagon. To get an International Baccalaureate diploma from the IBO, a student must pass the ToK, CAS and the Extended Essay. So, if you are an International Baccalaureate diploma student and are at the Higher Level, you should start preparing yourself early for your extended essay as writing a compelling, high-grade essay is quite demanding for any student at that level. It is not mandatory that the students write their extended essay in the subjects that they are studying or pursuing at their schools. It can be written on any of the subjects (within the 6 groups) that are officially authorized by the International Baccalaureate Organization. So you can write an extended essay on English, Spanish, Geography, History, Psychology, Economics, Business and Management Studies, Computer Science, Mathematics, Philosophy, etc. But whatever subject you choose for your extended essay, do keep in mind the following things. An extended essay should not be outside the subjects from the six groups prescribed by the IBO. You should take due approval from your teacher/supervisor before starting the extended essay as it is a requirement from the IBO. Your teacher/supervisor should approve the subject and the topic you are going to write your extended essay on. The essay should be properly formatted like margins, alignment, etc. The paragraphs should be justified and should have at least 1.5 or double spacing between the lines. It should not exceed 4000 words. There is a penalty if the word limit is exceeded. So, you should keep it to 4000 words only. Apart from the main essay of 4000 words, your essay should also contain an abstract which should come at the beginning of the essay, just after the title page. The word limit for the abstract is 300. There should be a title page which should state your title/topic or research question, the subject which you are writing your extended essay on, your name, your IBO number and the year or session in which you are currently in. It should also contain the information on the word count of the main essay and the abstract. The pages should be evenly numbered and the page number should appear at the footer of each page. The page numbering should start from the second page, i.e, after the first page (title page). After the title page, you should have the Abstract page. The word limit for the abstract is 300 words. After the abstract page you should place the Table of Contents on the third page. After the Table of Contents page, the fourth page can start right away with the main essay or it could have an additional page in the form of acknowledgement. The main essay should start with an Introduction. The heading should clearly state “Introduction” at the start of the essay. You should properly organize your essay into a neat, coherent structure writing the 4000 word limit. The essay should end with a Conclusion page. Here you should mention the main summary of the essay and your findings, opinions, etc. in a few paragraphs. Remember, the conclusion is included in the main word count as it forms the part of the main essay. After the conclusion page you should place your bibliography and referencing on the next page. It should be in MLA or APA format. Additional data and material like tables, charts, graphs, diagrams, illustrations, calculations, equations, articles, interviews, questionnaire, etc. should be placed after the Bibliography page in the form of Appendices (Appendix I, II, III or A, B, C and so on). 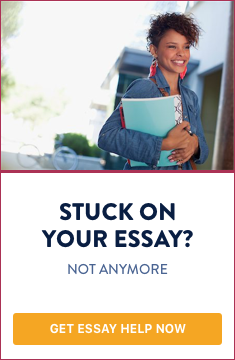 Writing an extended essay could be one of the most challenging assignments you ever undertake in your academic career, as you would be on the brink of transition from school to college/university life. This extended essay brings out the best out of you as far as academic writing is concerned. So, just try to focus on the research question/topic, plan the essay in advance, make some drafts and improve on the final draft using the above mentioned guidelines and tips. You will do fine with your extended essay.